1/2" wide x 41" long (13mm x 1m), the medium band provides 15-35 lbs (7-16 kg) of resistance. It is a highly adaptable band that can be used for stretching, strengthening, or mobility exercises and used for high rep strength training. 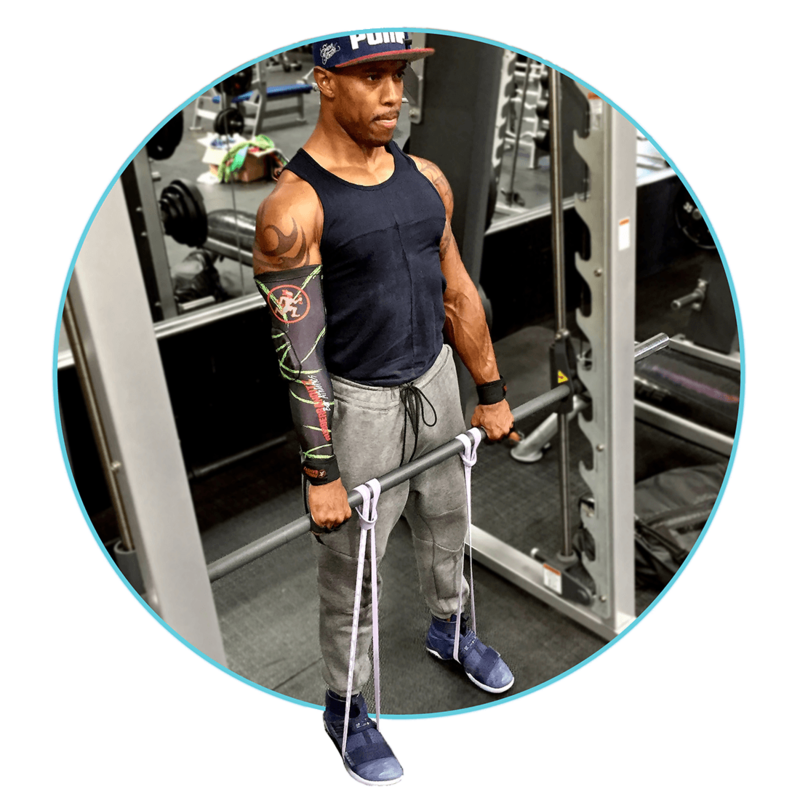 7/8" wide x 41" long (22mm x 1m), the heavy band offers 30-50 lbs (14-23 kg) of assistance on the bar and can be used alone or combined with other bands to customize the amount of tension needed on almost any lift or stretch. 1 1/8" wide x 41" long (30mm x 1m), the robust bands supplies 50-80 lbs (23-36 kg) of resistance and is one of our most popular powerlifting bands. 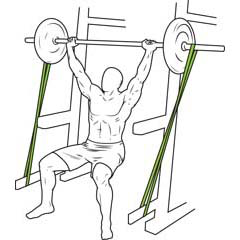 Strap them to a barbell and amplify your squats and presses with ascending resistance. 2.5" wide x 41" long (64mm x 1m), the strong band provides 100-140 lbs (45-63 kg) of resistance. 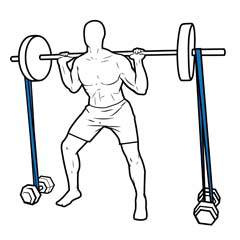 Supercharge weighted squats by adding 200 lbs of elastic ascending resistance [when using a pair]. 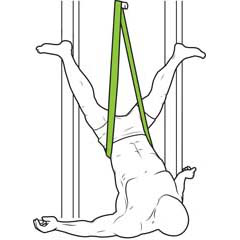 Or hang it from the pullup bar for assisted pullups. 4" wide x 41" long, the monster band is the titan of tension. 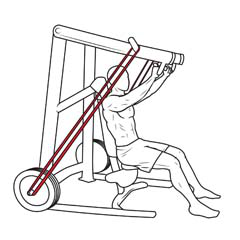 It offers up to 150-250 lbs (68-113 kg) of resistance for herculean humans. This band is no joke! If you think you may need a lighter band for your squats or deads, then you probably do. Weight lifting resistance bands are a practical exercise accessory because of the way they naturally complement your muscle contractions. 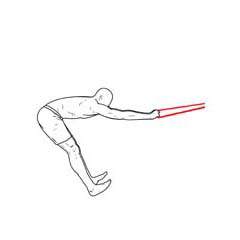 As your muscles contract and exert more force, the strength bands stretch further and offer an ascending resistance that gradually increases through your range of motion -- a symbiotic relationship unachievable by the force of gravity. 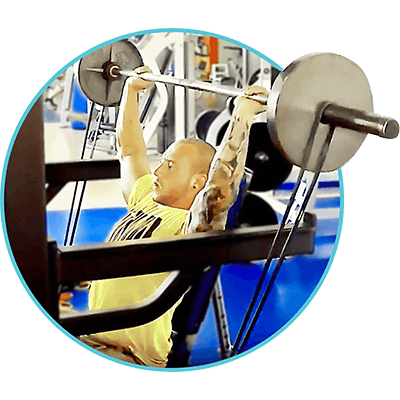 The weight lifting band's tension engages target muscle groups while also forcing you to stabilize your core, allowing for optimal strengthening efficiency in your powerlifting equipment. Strength training with bands amplifies results while placing minimal stress on your joints. Supercharge your strength-training exercises by adding elastic load with workout bands to intensify: squats, deadlifts, shrugs, bench press, and shoulder press. You can target any muscle group with our powerlifting bands. 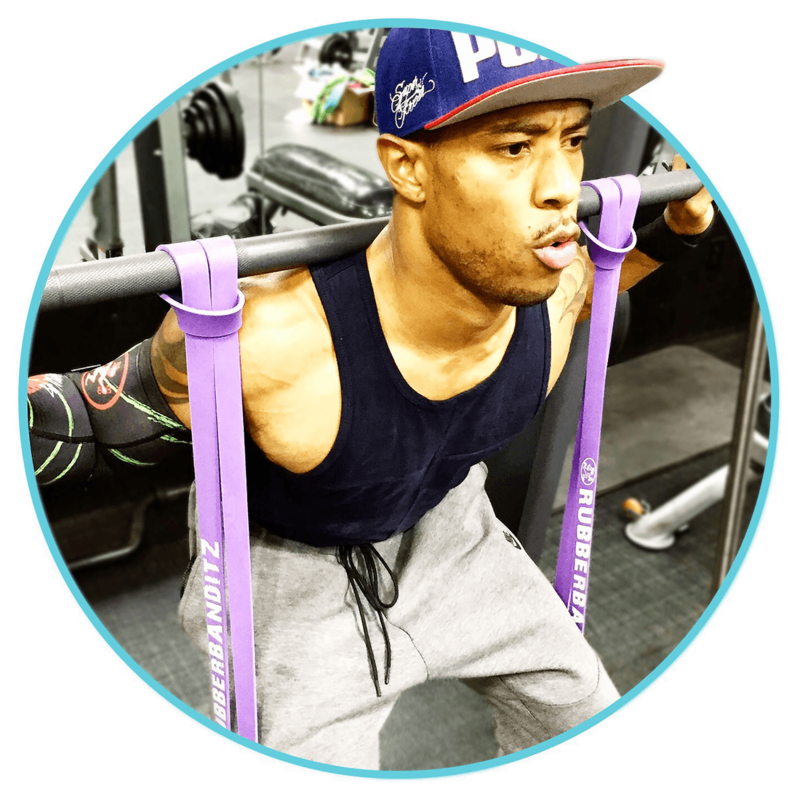 Best of all, these lifting bands come in a variety of resistance levels, so you can continuously challenge yourself as you gain muscle. For your next gym session, try strength training with bands to see how they can improve your workout. 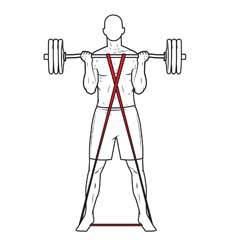 How Do I Use Powerlifting Resistance Bands? 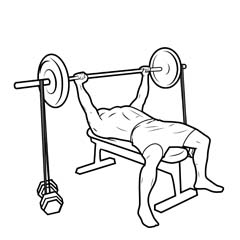 The bench press is arguably the most impressive testaments of strength. It’s a complex exercise that boosts upper-body muscle hypertrophy. Powerlifting bands provide the perfect training compliment. They help you through your sticking point at the bottom, then get incrementally heavier as you push and generate more force. 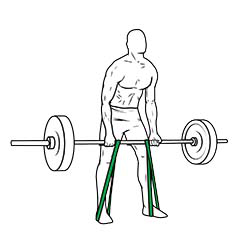 The Deadlift is a complex movement that builds core stability and teaches your upper and lower body to work in unison. Training with powerlifting bands accelerates progress -- they give you less resistance at the bottom when your muscles have less force and the more resistance while you ascend as your muscles give more force. 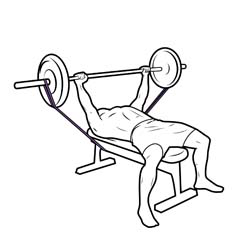 The military [shoulder] press is the best exercise for simultaneously training all three deltoid heads. 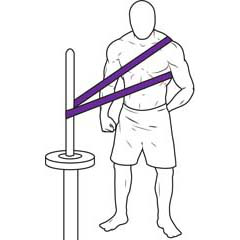 Using powerlifting bands is a great way to increase the intensity of your shoulder presses and offer an ascending resistance without heightening the risk of injury. 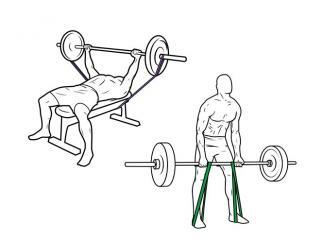 Squats are the most well-rounded lower body powerlifting exercises there is. 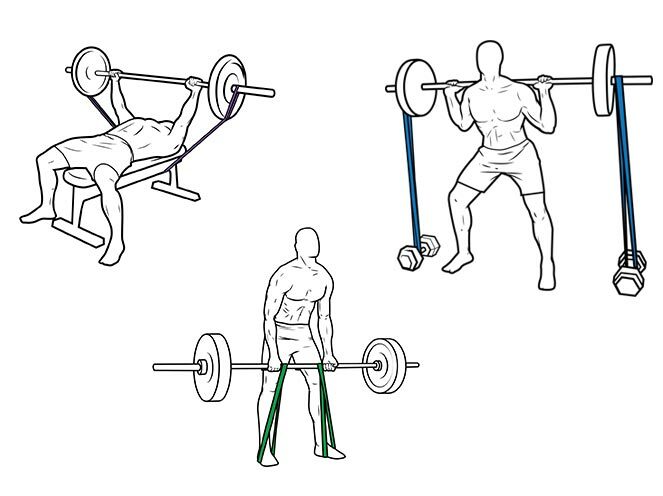 Powerlifting bands compliment squats as load gets incrementally heavier throughout your range of motion. 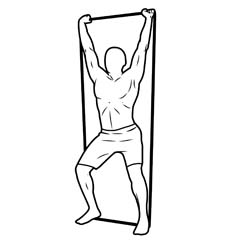 Bands give less resistance at the bottom when you exert less force and and the more resistance while you ascend as your muscles give more force. 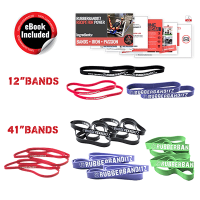 RubberBanditz offers a selection of workout bands to fully equip you in the gym. 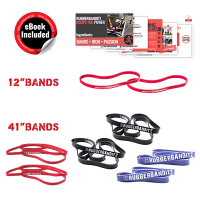 Whether you’re a seasoned athlete looking for an edge or a newbie just starting out, these resistance band sets make it easy for you to mix and match bands to customize the amount of tension needed. 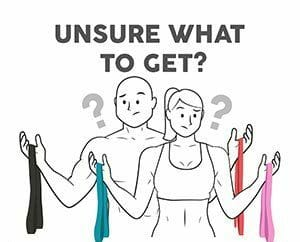 For most powerlifting exercises it’s best to have a pair of resistance bands in order to make sure the tension is the same on both sides of the bar. Mark your progress as you get stronger with heavier duty bands or do burnout sets and decrease the amount of tension as you fatigue. "These are the best exercise bands I’ve used. They give me an incredible strength training weapon I use to build explosiveness and power. They are one of the few accessories I take with me everywhere!" "I just want to say thank you for an awesome product!! I am an Army officer deployed to Afghanistan. With gym closures happening these powerlifting bands help me and my soldiers maintain a level of PT otherwise impossible. Thanks again for your quality powerlifting bands as well as the timeliness of shipping." 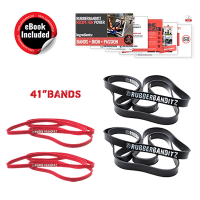 "I have been using rubberbanditz squat bands with my leg routines for a couple years and have seen vast improvements in my strength and hypertrophy. Using for bench press bands has also made a huge impact. Much better than the cheap powerlifting bands I had before." "We just received our first set of weight lifting bands a few days ago and love them. I read the reviews and these were the best powerlifting bands I could find. Super happy with the bands and couldn't ask for better service."